Dinant Je zde 1 položka. 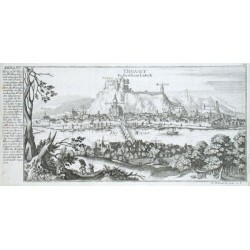 "Dinant Im Bisthum Lüttich". View of the city over the Meuse river. Copper-engraving by G. Bodenehr (1664-1758), published ca. 1720. With explanations. 16:33,5 cm.